For the dressing, mix together olive oil, white vine vinegar, mustard and parsley in a small bowl. Blend well to combine all the ingredients, then season with a sprinkle of salt. Wash the spinach gently under cold water and pat dry with paper towels. Slice the blue cheese and pear into small pieces according to your liking. 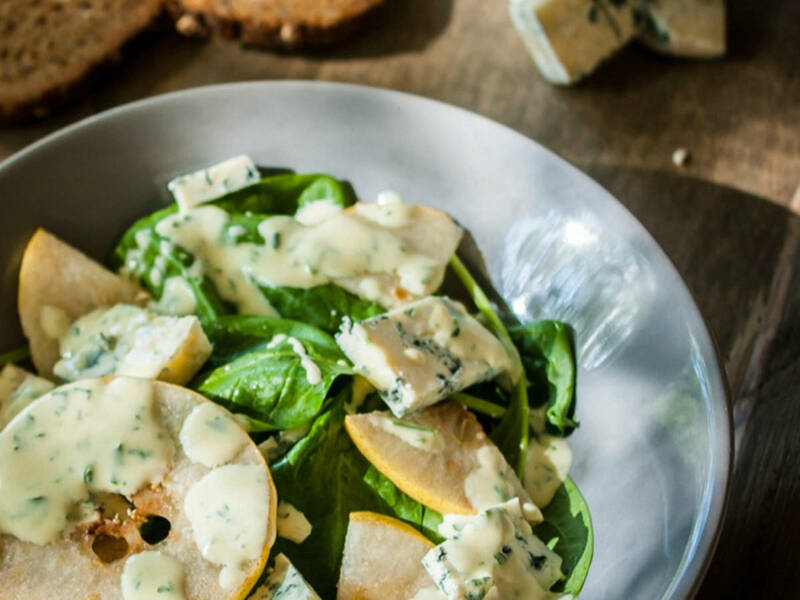 Serve the salad by layering a plate or a bowl with spinach first, cheese pear slices second, and drizzle with dressing. Enjoy!